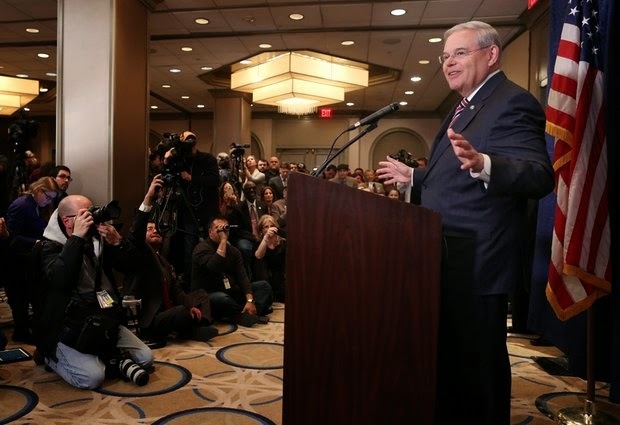 NEWARK, N.J. (AP) — Sen. Bob Menendez, a New Jersey Democrat, and Dr. Salomon Melgen, a Florida eye doctor, were indicted Wednesday on federal corruption and bribery charges. The heart of the charges is that Menendez advocated for Melgen's personal and business interests in exchange for travel — including at least 20 flights — and political and legal-defense contributions. The senator is also accused of failing to disclose gifts from Melgen.